For any serious photographer nothing is like working on a personal long-term project. If you want to develop your photography, make your creativity bloom, increase your energy and boost your self-esteem and confidence as a photographer, a long-term photo project will do all that for you. Such a project doesn’t have to be exotic at all or take place in a far-away-country. In fact the closer to your home-base the easier it is to follow through and use spare time whenever there is a chance. A personal long-term project can be grand and it can be small. It can be limited to your own backyard, like the project I have described before in the post Backyard Abstraction, or it can be a project about the world’s manual labourers as the famous photographer Sebastião Salgado has devoted a life time to. The important thing is to devote yourself to a project you feel is important or speaks to you in some way or form and then stay devoted over a longer period of time. I mean keep going back, keep shooting, keep finding new ways to express the theme you have chosen, keep adding new images to the story. And keep doing it consistently even when at times it feels exhausting and nothing comes out of your attempt of shooting. Gradually you will merge into the project, it becomes you, and that’s when things start to take on a development of its own. By devoting yourself to a project over time you start to feel real ownership for the project, you will gradually relax with the subject—and the subject will relax with you, you lose all pretensions and any performance anxiety you may have. It all becomes about you and the subject and expressing that relationship. “Pick a theme and work it to exhaustion… the subject must be something you truly love or hate.” This is according to another famous photographer, Dorothea Lange. For a professional photographer as myself, long-term personal photography projects are the spice of life between the humdrum of every day life and shooting. It brings meaning and joy into my work. I can only recommend any photographer to devote time to a long-term project that feels important or inspiring to you—and it probably works the same way in any of the other art forms, too. The important thing is to start—now. Not keep planning it in your head and saying I’ll do it when I have time, or I just need to plan the project a little more. No, just start. How long is a long-term project, then? There is no telling what is right when it comes to the time devoted to a long-term project. It can be months or it can be a life time. Only you know how long your project takes, and you probably don’t even know before it’s all done. One of my long term projects have been going on for more than 20 years—and still going on. 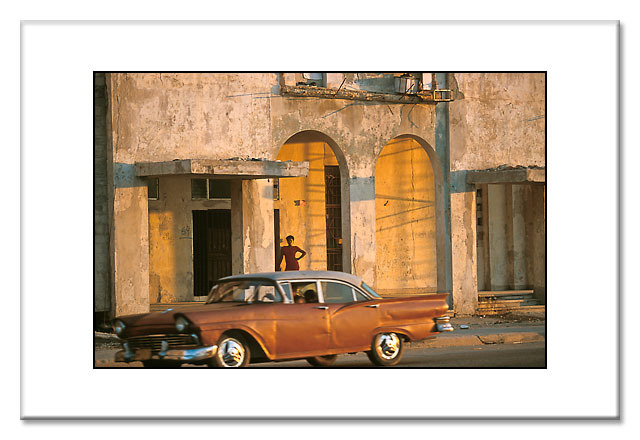 Cuba has been my longest personal photo project to date. Not many posts ago I mentioned the farm I keep visiting in Cuba, where the members have become My Cuban Family. The farm is but a part of my project. 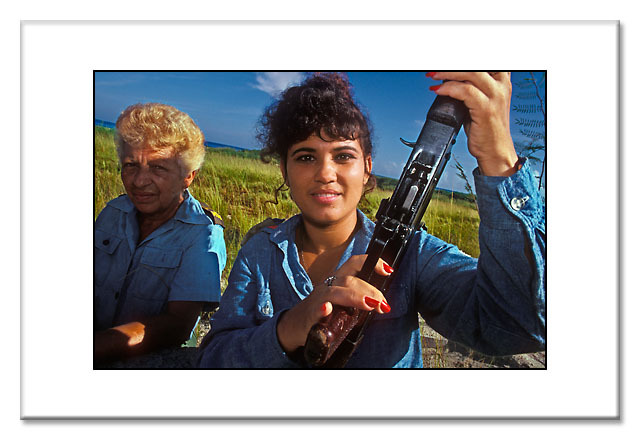 Over the 25 years I have been returning to Cuba, I have tried to portrait and captured the changes is this contradictory country. I would say my wild horses are my long term project. Chronicling the same herd, or visiting all new areas, I get a feel for their lives. How far away in time is the new home? Must be exciting! It’s really exciting to read your comment (and your blog as well). Yes, you are definitely in for a long term project. And it’s so cool if it actually has lead you into a whole new career. I wish you all the best with the next book, the speeches, the various interactions and so on. It’s simply fantastic. And thanks for the lovely words about my blog. You always advocate long term projects – and I think you are right. I am still working on mine – the one I started when I attended a course of yours. It will go on, I feel…but I still love the idea, and that is the essential thing. Thank you for the encouragement, Otto! drooling over that beautiful boulevard with such stylish old houses. 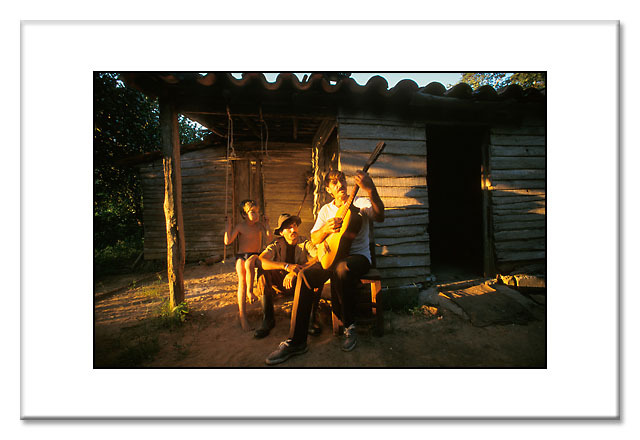 Lovely shots, different yet typical Cuba. I think I need a project. I tend to go so many directions with my images that a project would actually give me a focus to pulling it all together. Thanks for your post. A project—whether long or short term—will indeed give a focus to the photographic process. Commitment to a long term project is very important and helps to develop your authorship, your style. Thanks for this article, it’s a good reminder! And thank you for adding to the reasons why we should work on long term projects. I agree, Otto! I think my main long-term project is my ‘One’ series of a single person in a frame. Love Cuba, som du vet. Du har varit där så många gånger, du har en historia att gå tillbaka till och det avundas jag dig. Vill åka tillbaka och det kommer jag att göra…men det finns så mycket annat, så många andra intressanta platser som jag inte har sett, men som jag vill se…innan jag ligger med näsan i vädret. Tack i alla fall för påminnelsen och glädjen! Interesting photos, they made me stop, look, examine and think about the story behind them. That is all I want for my photos to achieve, so your comment made me very happy. Thank you, Jane. Great advices and these are great pictures! This is a terrific sampling, and great shots. 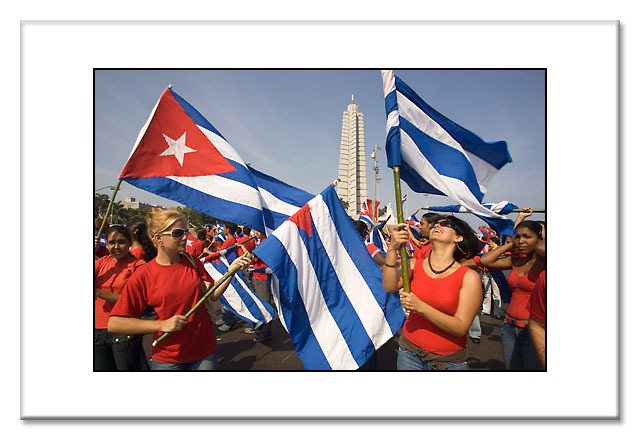 The flag-wavers and Fidel look very animated. In the first two shots, the musician and the lovely young soldier are holding their respective instruments at the same angle (I’m imagining a revolutionary-themed composition, staccato, guitar and automatic rifle). I like that idea for a composition. And thank you for the lovely feedback, Robert. 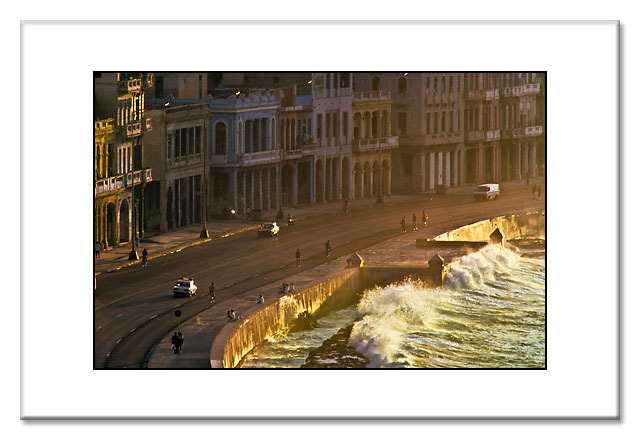 Is that last photo El Malecón in Havana? It’s a wonderful photo, and a place that’s had some importance to me. As for long terms projects: of course. My first experience of a (somewhat limited) long term project was the documentation of prairie regrowth after a controlled burn. Once every few days for two months I went down and photographed the same piece of land. It was so interesting, and nothing ever was the same. I’ve been pondering picking a piece of native prairie and documenting it through an entire year: not a large piece of land, but a smaller bit that would force real looking to see what’s going on inside it — maybe a square meter or two. Your mention of your backyard project brought to mind a very recent revelation I’ve had. You know this, but it’s just come to me: there’s a world of difference between what a camera can do, and what we can do with a camera. Linda, I’ve been thinking of documenting the local pond over a year in the same way in which you mention picking a piece of native prairie. I know from past years how interesting it is to see and photograph the same small natural ground over all 4 seasons. Love your last sentence – so true. I would say, go for the pond. It will be great fun, I am sure. To answer the question first; yes it’s El Malecón. And of course, now you made me curious. As for long term projects, I think both the one you have done and the one you consider doing, are great ideas. I would love to see what you came up with through a year of documenting a piece of the prairie. I’ve been procrastinating about doing some more abstract nature photography, but health matters and pain keep getting in the way. I had no real excuse until this year. (now, yesterday’s hip MRI and torn muscles, of all things, actually give me a real excuse for putting it off. LOL 🙂 ). I like the idea of doing something more abstract with B & W photography too. I am sorry about your ill fate. I wish you all the best recovery—so you don’t have to procrastinate your good ideas for a long term project. I love having a project at work, so why did I not think of a project for photography?! Such a great idea, Otto. Gives me something to ponder and act on. Thanks so much. Very good post, not to mention the very nice photos. I never thought of photograph in that way. Your message applies to all aspects of life. I have found that starting a project is scary (speaking from experience) – I have meant to start learning something for a year now, but am really scared about and have extremely low confidence in my capability. Yes, starting on something new can be scary. But if we find the courage, it will be most rewarding in the end. 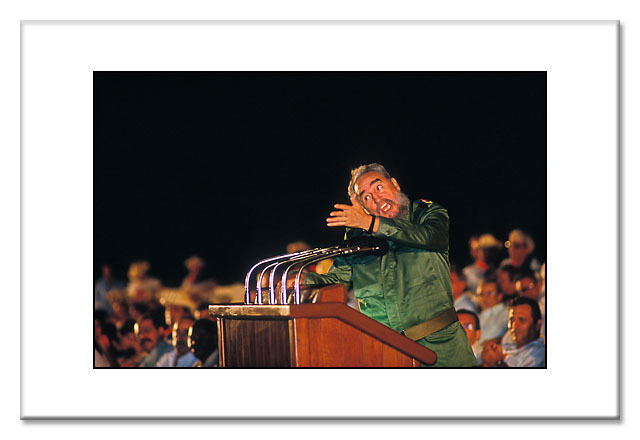 Great captures, the look on Fidel’s face as he orates and the woman’s dainty red nails on a lethal weapon…. Lot’s to ponder in these…. What a great concept, to work on a long term project and just exhaust it. Thanks for the idea. And thank you for commenting on the idea, Deb. One thing is to know another to be told, no? Such evocative shots. I’m especially drawn to 3, 6, & 7. They say a lot about the politics down there. It has taken me a long time to find my long-term project, but now that I have I’m a bit possessed by it. Maybe that’s the sign that these are the projects we’re on the planet to do? I’ve enjoyed following your Cuban and backyard observations. Keep at it! As you have illustrated the long term project has limitless possibilities. One of the aspects that attracts me is to see the extent to which the subject has changed over an extended period and the nature of the changes that have taken place in the interpretation. I agree. See how a project develops over time often gives great satisfaction. I do hope so. Thank you, Jo. Some beautiful photos here Otto. I suppose the long term project could apply to writing as well and something definitely pops into mind for me. Thanks for the nudge and inspiration. I think a long term project could be applied to most aspects that we care about. You always give such wonderful, inspiring instruction, Otto — but I especially appreciate how you always punctuate your lessons with some examples of your own. And these images are extraordinary! I hope you’re proud of them, and of your long-term Cuban project. Thank you, Heide. I guess I could say I am proud of my work, but more than anything it’s been a fantastic journey working on the project. Such a wonderful idea, Otto. I’m thinking of a long term writing project, but not a book. Still trying to recover from the first one. 😀 Perhaps a travel diary about the rediscovery of my own town. Writing a book is a gigantic piece of work, so I understand it might take some time before wanting to commence with another one. Thank you for the encouraging words, Eddie. Otto, the quote from Lange works perfectly with your post. I have great respect for what she stood for as an artist. Excellent post Otto! I love self-imposed projects … choosing a theme and working it into a collection. One reason I love blogging is because I can put images in sets. Together, I feel they make a stronger statement. I also consider the subjects I accept as my niché to be long-term projects. Some of the galleries I have organized on my store website for example can be considered long-term because I keep looking for subjects to add to them. I have noticed that. I, too, think photos in a series can make a stronger statement. Thanks for the encouragement. With the recent environmental news, I’m realizing that my long term observations of nature may end up being an important record. Any such project will be an important record as well as statement.